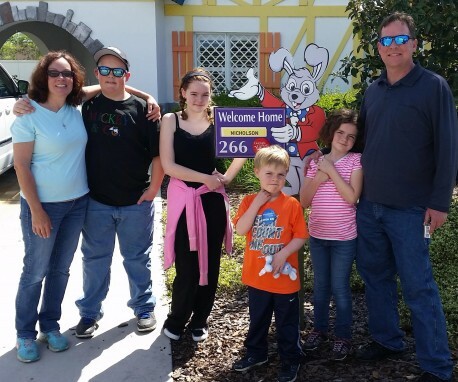 Karen Nicholson first heard of Give Kids The World Village through the Make-A-Wish Foundation. Her son, Nathaniel, had been diagnosed with leukemia at 2 1/2 years old and was granted a Wish: to go to Disney World. Give Kids The World Village was to be their home for the week while they traveled to and from the Orlando theme parks. I caught up with Karen recently and asked her to briefly share her experience from their trip in April 2016. 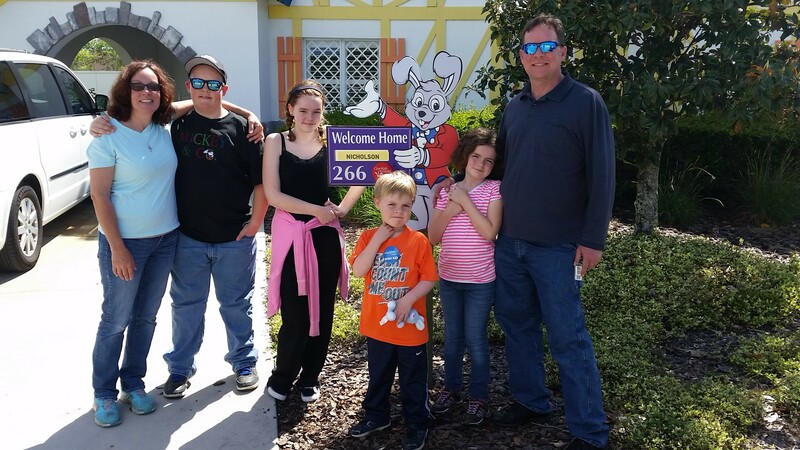 Each family stays in their own private villa while at Give Kids The World. What did you like about your villa? Karen: "Everything!! The cleanliness, the location, the surroundings, the quiet, the décor, the upkeep (it was immaculate!)" The Village itself has many activities for children. What was Nathaniel's favorite part about the Village? Karen: "Between the Ice Cream Palace, Amberville and the spectacular pool, those were his top three places!!" Describe a typical day at the Village. Karen: "Waking up to hear the coffee and donut cart at your door then a few minutes later to be whisked to the restaurant for a delicious meal. Then you decide what your day holds in store…to stay at the resort and enjoy the various activities, or go to an amusement park. There was so much to choose from with tough decisions to be made since you didn’t want to miss out on anything. That was the beauty of Give Kids The World. There was never a lack of activities. Always guaranteed a good day with whatever plans you made that included GKTW. Food was excellent and surprises were aplenty! Once the day was complete, that reliable cart would transport you back to your beautiful villa where, once again, GKTW had left a token for the children. It was totally magical." "Give Kids The World was phenomenal. They highly exceeded any expectations that we had. My regret is a personal one – we pushed our son to go to the various amusement parks which were NOT to his liking. He was more than content to stay at the GKTW resort and enjoy the low key activities, since over-stimulation is too much for him. We have absolutely wonderful memories of Give Kids The World and wish that we had let him call the shots more and not be so eager to experience the parks. Give Kids The World Village is a Make-a-Wish in itself . . . Give Kids The World is a magical, wonderful, once in a lifetime experience that I am grateful to have had the opportunity to explore. My family and I really hope to travel back sometime and volunteer there – to see the looks on other people’s faces as they experience joy – and to give back."